PRINCE William admits he has struggled with fatherhood. 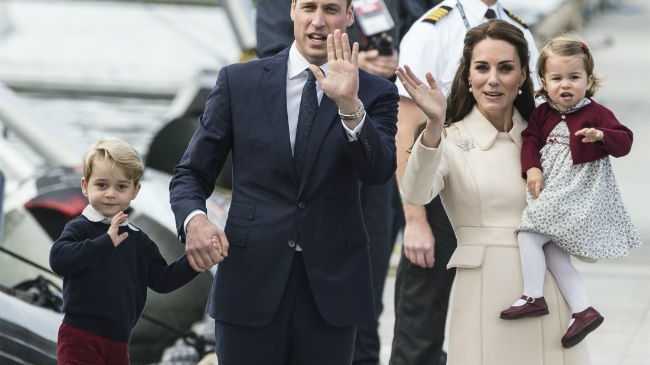 The 34-year-old royal - who has children Prince George, three and 18-month-old Princess Charlotte with his wife Duchess Catherine - admitted that there are "wonderful highs and lows" to being a dad. Speaking on English-language show 'Talk Vietnam' during a two-day visit to the country, he said: "It's been quite a change for me personally. I'm very lucky in the support I have from Catherine, she's an amazing mother and a fantastic wife. "I've struggled at times. The alteration from being a single, independent man to going into marriage and then having children is life-changing. "I adore my children very much, and I've learned a lot about myself and about family just from having my own children." Speaking about his children, he called George "a right little rascal", adding, "he keeps me on my toes but he's a sweet boy". And when asked about Charlotte, he said: "Bearing in mind I haven't had a sister, so having a daughter is a very different dynamic. So I'm learning about having a daughter, having a girl in the family." He went on to add: "I would like [my kids] to grow up with simple aspirations. I think there's a lot of huge aspirations and people living with an enormous amount of stuff that they don't necessarily need. "The materialism of the world - I find quite tricky sometimes. "I would like George and Charlotte to grow up being a little bit more simple in their approach and their outlook, and just looking after those around them and treating others as they would like to be treated themselves."